As of this writing, the first batch of our sheltered OFWs from Kuwait has arrived home through the efforts of DFA and DOLE. Sometimes I wish Alan was still a senator so he could answer all the questions thrown at him and debate for as long as it takes. But he’s not; for he’s now the top diplomat of our country. The job requires that he ACTS and acts FAST. Politicians and even political analysts have the luxury of discussing and judging issues from hindsight. But that’s not the case if you are in the executive department where it is your prompt ACTION that matters. You analyze a situation as it develops and make your call. In the case of the rescue of our OFWs in Kuwait, Alan and his team made the call and acted swiftly. 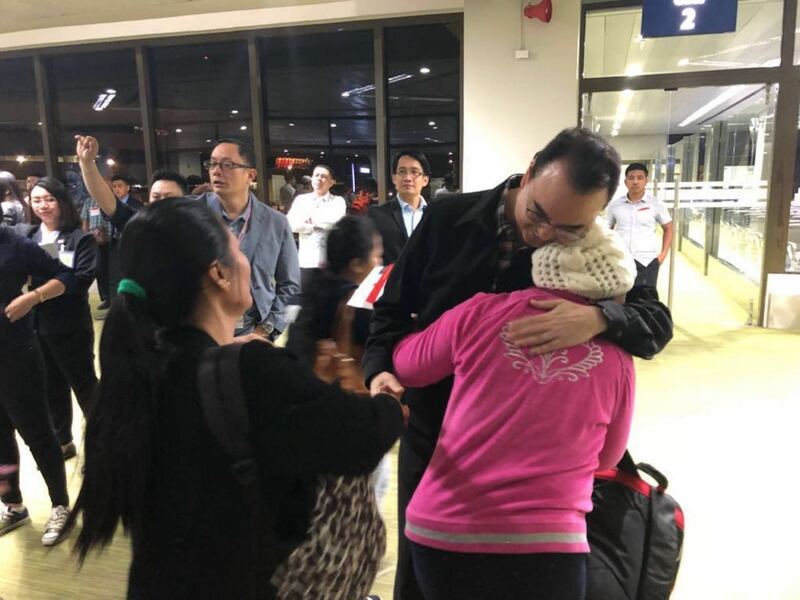 I’m not privy to the information they had, but knowing my brother, it was a decision that had to be made to ensure the paramount safety of our OFWs. That’s the other thing I wanted to discuss – sensitivities and confidentiality of information. As the country’s top diplomat, Alan cannot always be discussing matters and divulging missions – whether it’s the Kuwait issue, West Philippine Sea, and relations with the European Union, among others. There is actual work that’s going on that needs to be completed. And confidentiality of the entire process is often very important. That’s the same reason why in FOI laws and practices all over the world, communications within the diplomatic corps are strictly classified information. Why? Because the nature of their work is extremely sensitive and requires that they speak and exchange information freely with their counterparts without fear that every statement they make will be made public. Senator Chiz Escudero, in a media interview, revealed the grim situation being faced by many of our OFWs in Kuwait, and this warranted that our officials take decisive action to protect them. Sen JV Ejercito likewise said to the effect that he’d rather see our officials being summoned for doing their job, than see our OFWs come home in a coffin. “Maltreatment of OFWs specially the domestic helpers has to stop! This is just too much already,” he stressed. For the record, having been a long-time politician, Alan is used to criticism. We accept that as part of our job. But I decided to share my views to shed some light on the matter, so people will understand, why Alan, the senator and politician – who had the luxury of talking, exposing and even debating issues – cannot be the same Alan, the diplomat who needs to ACT and ACT swiftly to save lives.